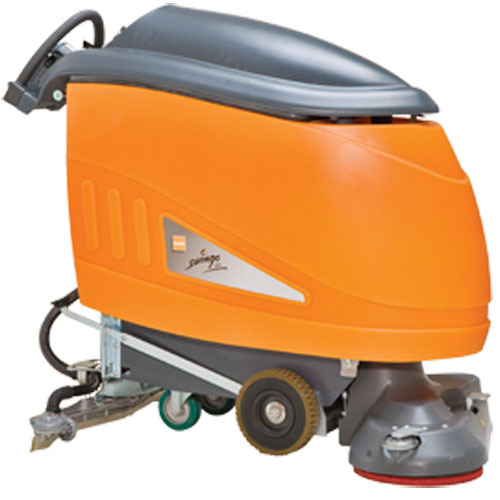 The TASKI swingo 1850 B is an electric auto scrubber. This unit has a highly efficient IntelliFlow system which reduces water consumption significantly. The brushes perfectly follow the floor profile, delivering ideal soil removal. Thanks to the W-shaped squeegee, the TASKI swingo 1850 B scrubber delivers a best-in-class drying result. The machine can be used at any time of the day due to its low noise, while reducing the potential risk of slip-fall accidents caused by wet floors.